This past week was a celebration of beautiful partnerships, both on home turf and outside. 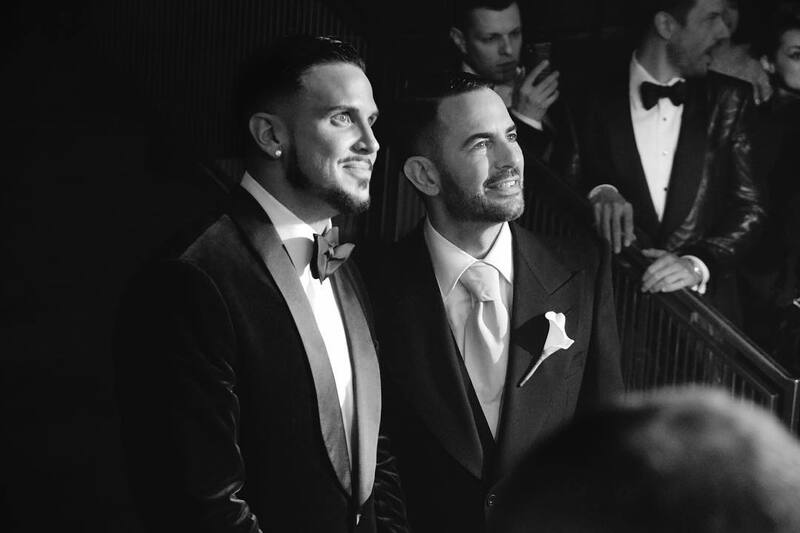 While Sabyasachi showcased 20 years in the industry with an association with Louboutin on Saturday, another big partnership was celebrated in New York over the weekend, with Marc Jacobs marrying his longtime boyfriend, Charly ‘Char’ Defrancesco. 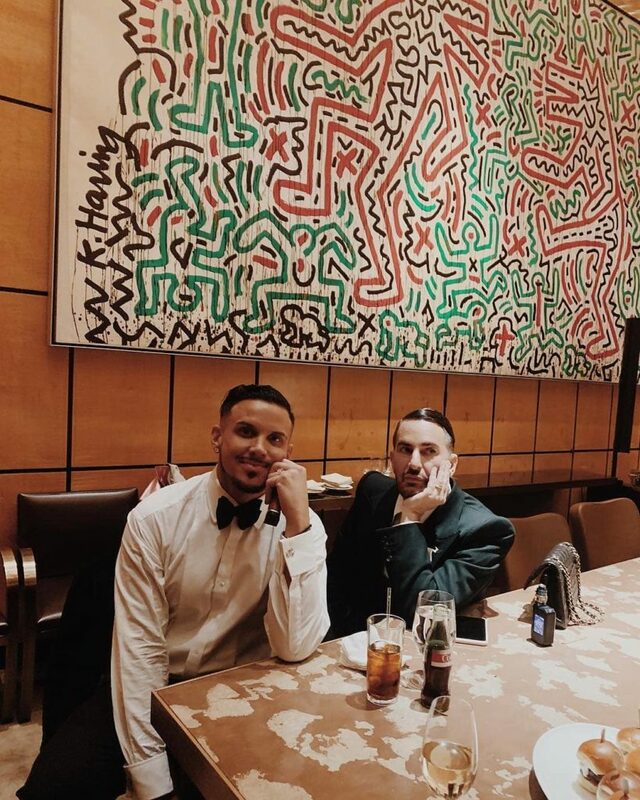 It’s common knowledge that Jacobs had gotten engaged to Char with the help of a flashmob in a Chipotle a year ago; the wedding that took place yesterday was just as beautiful and refreshing. The couple exchanged vows at an intimate ceremony in New York City and the reception was held at The Grill in Midtown. It was a star studded event, as the who’s who of fashion turned up to support the duo. Spotted were Kate Moss, Kaia Gerber, Bella and Gigi Hadid, Emily Ratajkowski, Christy Turlington, Rita Ora, Anna Sui, Pat McGrath, and Phoebe Philo, former creative director of Celine. Jacobs and his husband wore dark green tuxedos by Huntsman, Savile Row. “The suit, shirt and tie cut, overseen and designed with the lovely, incredible Ralph Fitzgerald,” said Jacobs on Instagram. Char’s bespoke sneakers were created by Christian Louboutin, while Jacobs’ yellow shoes were by Gucci’s Alessandro Michele; a single Calla Lily by Ariel Dearie Flowers found place on Jacobs’ lapel. The couple also wore matching diamond and onyx penguin pins, a gift from Prada and Miu Miu design director Fabio Zambernardi, alluding to the fact that penguins mate for life. “Penguins have only one partner and mate for life. A great example of faithfulness and fidelity. So grateful to you and love you so much dear Fabio,” explained Jacobs. The 60s David Webb enamel lion head cufflinks were also stunning. The rings were gold wedding bands. At the reception, tuxedo-wearing dancers that came with Velma Kelly wigs created a Jazz-Age dance vibe before unveiling the 5-tiered wedding cake. The festivities went on till late night with guests watching the pair’s personal home videos. Adorable animals was the theme of the evening, and the motifs were embroidered everywhere. 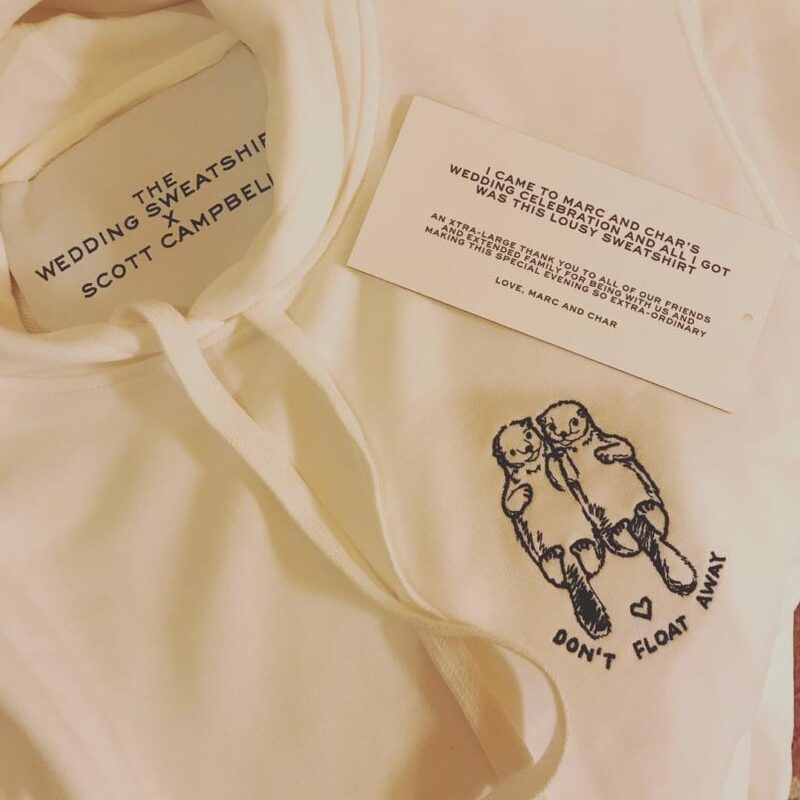 The party-favour hoodies were in particular the talk of the evening with their fun messaging – “I came to Marc and Char’s wedding celebration and all I got was this lousy sweatshirt” – and the embroidery of otters holding hands, and a tiny message, ‘Don’t float away’. There were also customised ‘Marc and Char’ vape pens. Here are the all the guests who attended the wedding.